A heart specialist in Kingston, Ont. is warning health care professionals across the country to be on the lookout for a rare but serious complication of Lyme disease in which the disease bacteria begin to attack the heart. The condition is called Lyme carditis and it can do serious damage by disturbing the heart’s electrical system andrate. Cardiologist Dr. Adrian Baranchuk, from the Kingston General Hospital Research Institute, says that’s why it’s so important for Canadian doctors to recognize the symptoms early and begin treatment – even before they have a definite diagnosis. Most Canadians know Lyme disease is spread by ticks carrying the bacteria. The illness those bacteria cause is marked by fever, fatigue, and joint pain as well as other symptoms. But when Lyme bacteria travel through the blood to the heart, they can also cause inflammation that disrupts the organ’s electrical system. The result is a condition called “heart block” in which the heartbeat becomes too slow. The most common symptoms are sudden dizziness, shortness of breath, and chest pain. Left untreated, the condition can rapidly progress to complete heart shutdown. Adam Flisikowski was diagnosed with Lyme carditis last summer after the previously healthy teen ended up in hospital with an erratic and dangerously slow heartbeat that dropped to 30-40 beats per minute. The 19-year-old had just returned from a camping and fishing trip near Kingston and though he had taken precautions against bug and tick bites, when he got home, he found a small tick on his heel. He removed it, but six weeks later, he began having heart symptoms. Doctors told the teenager he might need to be fitted with a pacemaker to normalize his heartbeat. After several tests, doctors finally diagnosed him with Lyme carditis. Dr. Baranchuk says Flisikowskiwas just one of several patients who were admitted to the Kingston Health Sciences Centre’s cardiac unit over 18 months with heart block symptoms. All were males under the age of 50 – one was just 14 – and all had recently taken part in outdoor activities. “One of the things we noticed was each one of them had attended a different ER two to three times before anyone thought about this condition,” says Dr. Baranchuk. Diagnosing Lyme carditis is often difficult because not only is the condition rare, many patients don’t get the bullseye rash caused by the bite of a Lyme-infected tick. Many also don’t notice the other, vague symptoms of Lyme disease, such as fever and muscle aches, which are often mistaken for the flu. 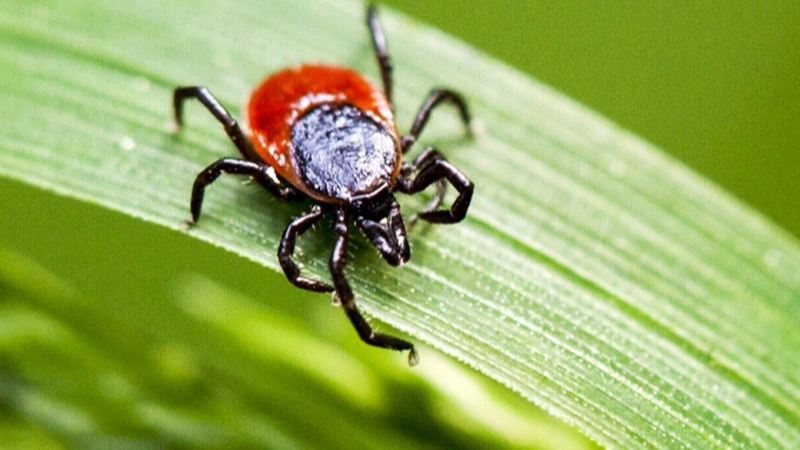 With Lyme diagnoses on the rise and the deer ticks that spread Lyme being found in parts of the country, Dr. Baranchuck worries Lyme carditis cases are going to increase but get missed. 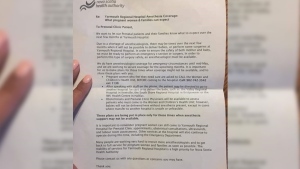 “We have the suspicion that there are way more cases than are reported, because doctors are failing to report it,” he said. That’s why Dr. Baranchuk has just published a paper advising Canadian health care workers to treat young patients with unusual heart problems with antibiotics to kill off any Lyme bacteria that might be present, while they wait for blood tests to confirm Lyme infection. “These patients may not require pacemakers to be implanted. They can be treated with IV antibiotics for 10 to 12 days and the electricity of the heart will recover completely forever,” he said. As for Flisikowski, because Dr. Baranchuk was able to offer him a quick diagnosis, he received antibiotics in time and his heart has now recovered. “I am doing pretty good now. I am back to normal, I can do normal activities,” he said, fully aware his story is now a cautionary tale. Sue Faber, a former ER nurse who had Lyme disease and now works with Lyme Hope, said that when patients present with symptoms such as fever, fatigue and joint pain, Lyme disease should be on top of mind among possible diagnoses, even when there is no rash present. “We can treat them with antibiotics and they can go on with their lives,” she said. A deer tick that can transmit Lyme disease is shown in this file photo.